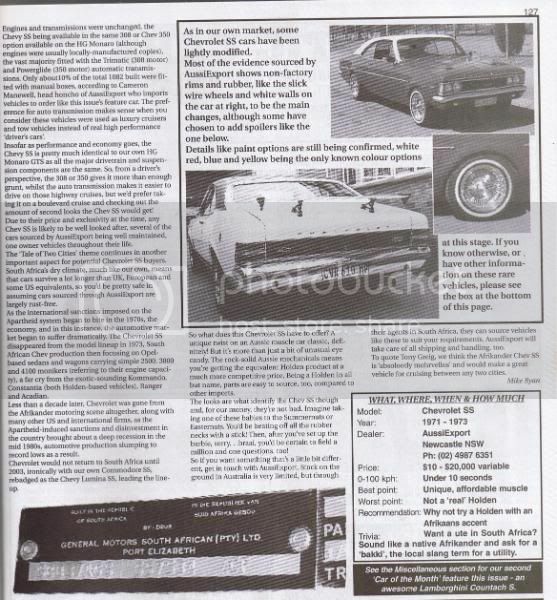 Chev SS info from Aussie Magazine " Just Cars"
Those that know me will tell you the Blue blood runs through my veins Ford all the way!! 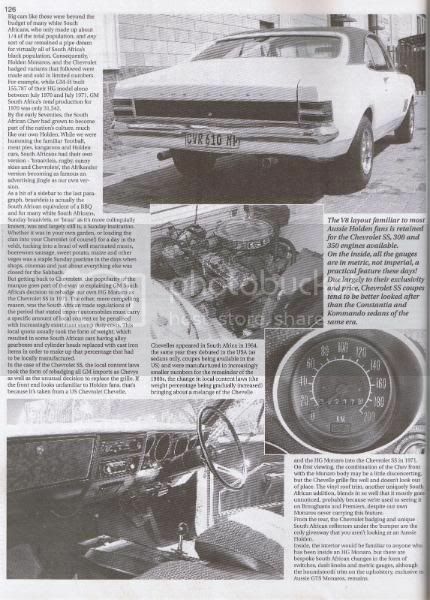 But I was reading an old magazine that I had 2004 & it had a write up on the Chev SS. I thought I would scan it & show you guys as it might be of interest. Last edited by Boxy MS33 on Thu 08 May 2008, 08:09, edited 1 time in total. 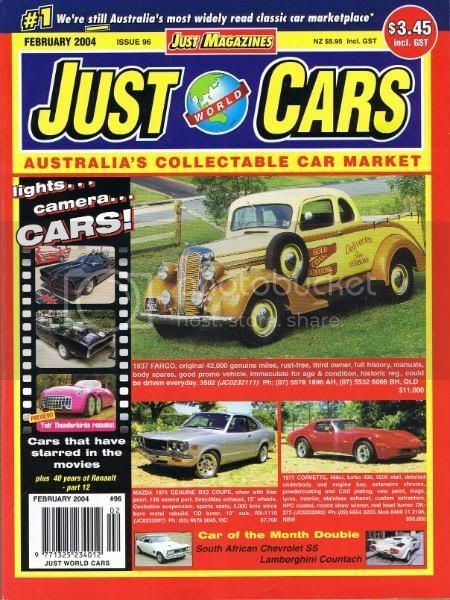 Re: Chev SS info from Aussie Magazine " Just Cars"
Thanks Boxy! Can you maybe mail me larger ones? Tiaan can do mate but if you save those images they should be the same as what I sent! Thats why I IMG & also JPEG the images. Thanx Boxy, that was exceptionally considerate for a â€œFordâ€ guy!! All joking aside, this very cool! Stephan not a problem there mate here to help all!!! 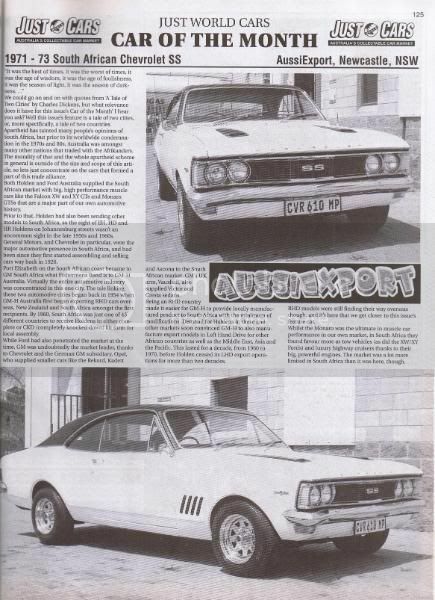 I thought i had most of the Aussie articles on the Chev SS , though i missed this one . AUS Muscle and RSA Muscle closely related !!! Thanks Boxy, it is nice to see some SS pictures. These cars is now rare in S.A.
Have you still got this mag Boxy ? ?